A reader’s perception of even an “objective” text is to some degree subjective. 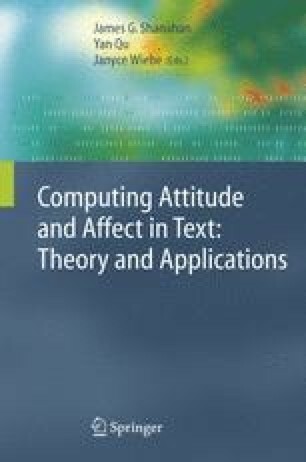 We present the results of a pilot study in which we looked at the degree of subjectivity in readers’ perceptions of lexical semantic relations, which are the building blocks of the lexical chains used in many applications in natural language processing. An example is presented in which the subjectivity reflects the reader’s attitude.